Danielle brings more than twelve years of experience in International Development to Marshall Direct Fund; including extensive fieldwork in Africa, the Middle East, Latin America and Eastern Europe. She began her international career in Peace Corps Romania as an Institution Development volunteer, assisting Caritas Petrosani and a national Gender and Development Committee. Upon returning from Romania, Danielle worked with Episcopal Relief & Development for six years where she provided technical oversight to all aspects of integrated development programming (livelihoods, health, gender equity and GBV, and disaster relief and recovery) in over 11 countries. Most recently she was the International Program Director with the JC Flowers Foundation where she worked closely with implementing partners in malaria control and elimination on the borders of Angola/Namibia and Zambia/Zimbabwe. 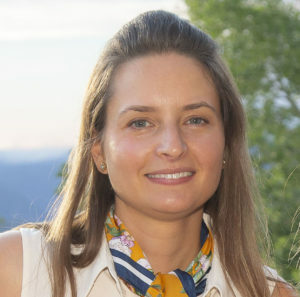 Danielle holds a Master degree in International Development from the University of Denver’s Josef Korbel School of International Studies.